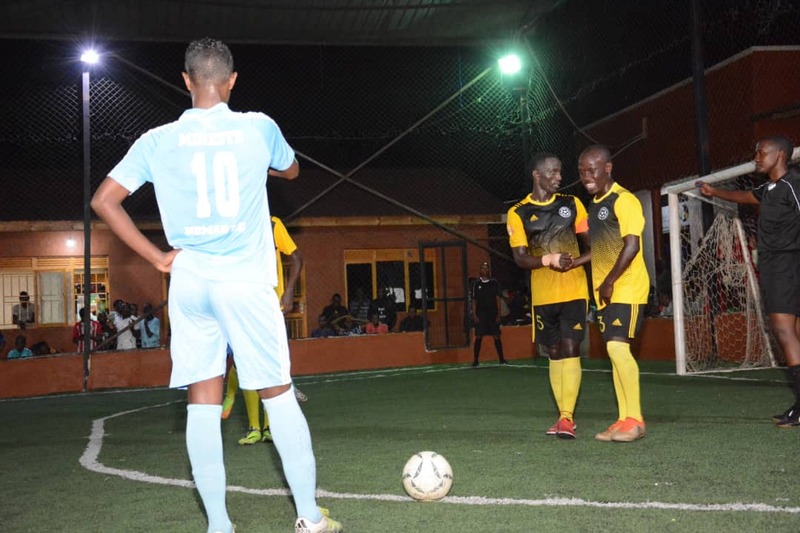 MENGO – Yeak Kabowa consolidated top spot in the Futsal Super League on Wednesday night, thanks to an 8-3 drubbing of Typhoon in one of the 6 games played on the day. The Kabowa based side who went into the game leading the standings by just a single point, raced into a 4-1 lead at halftime thanks to League top scorer Shaffic Avemah’s hat trick and Enock Sebagala’s strike. Allan Sseruyange, scored typhoon’s first period goal. Victory for Yeak Kabowa takes them to 26 points for the season, four ahead of second placed crown. Crown will have themselves to blame for the deficit, losing their day’s fixture 4-3 against Aidenal. Crown started slowly in the game and found themselves trailing 2-0 after the first period thanks to a brace from Aidenla’s Fabian Oyalo. In the second, they (Crown) tried to mount a comeback, scoring thrice through Adan Jama and Salad Muhamud (*2) but could only look on as Aidenal scored two more to win the game 4-3. Fred Kajoga and Moses Kaggwa were the ones on target for Aidenal in the second period. Crown now remain 2nd on the log with 22 points from their first 11 games while Aidenal are now 10th on 12 points. In the game between much fancied Park and Nomad, there was a shock victory with Park relinquishing a lead to succumb to a 3-2 loss. Park led by 2-1 at the break through Captain Iddi Babu and Ivan Kyozaala’s goals. In the second period, Ali Ahmed who had scored Nomad’s first half goal, added onto his tally to bring the game to level terms before Omar Ahmed sealed three points for Nomad late in the. Park who led the standings at some point a few weeks ago, have now gone two games without victory (drew 2-2 with Dream last week) and remain 4th on the standings with 21 points. Nomad on the other hand now move into 5th on the log, only a point behind Park after 11 match-days. For Parakeets, they lost their second game on the trot, going down 3-0 against Mengo City. Parakeets who lost 6-2 against Nomad last week, found themselves 2-0 down at half time on Wednesday with Charles Bwanika and Ismail Makanga scoring the goals for Mengo. It was more of an even affair in the second but it was Mengo who were smiling in the end with a 3-0 victory with Vasco Oketch scoring their third. Parakeets are still 3rd with 22 points while Mengo now move into 9th having accumulated 13 points so far. 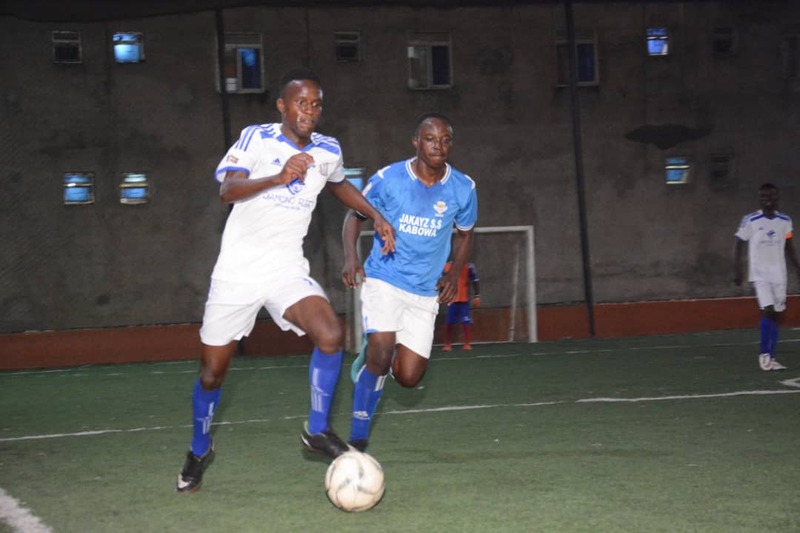 In the other games, Jamil Kalisa struck a treble as defending champions Dream defeated Equator 3-2 while Bajim and Kabowa United played out a 4-4 draw. The draw also featured another hat trick, thanks to Bajim’s Tony Ssebunya. Yaek Kabowa’s Shaffic Avemah still leads the scorers’ charts with 24 goals, 5 ahead of Park’s Joseph Bukenya. The Fustal Super League will resume on 7-02-2019 with seven (7). Next week sees the Uganda Cup Round of 16 taking center stage.